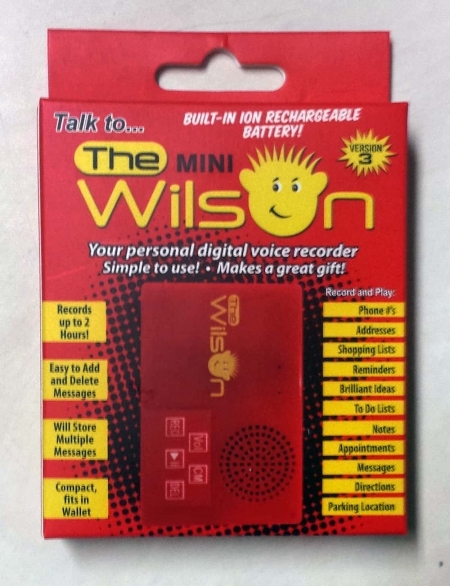 Talk to the Wilson, LLC grants a limited warranty for The Wilson™ for 1 year from the date of purchase. Please retain the sales receipt, as proof of purchase is required. During the warranty period, The Wilson™ is eligible for repair or replacement in the event of defects in materials or workmanship. In such cases, the defective product will be repaired or replaced as determined by Talk to the Wilson, LLC, in its sole discretion. Notwithstanding the preceding, this limited warranty does not cover damages caused by accident, improper use or unauthorized modifications. In addition, this limited warranty does not cover expendable materials and defects which constitute normal wear and tear. Talk to the Wilson, LLC reserves the right to assess all warranty claims and to determine if defects are covered by the terms of its limited warranty. If Talk to the Wilson LLC determines that its warranty is applicable, the defective product will be repaired or replaced at Talk to the Wilson, LLC’s sole discretion and expense. The repaired or replaced product shall then be shipped to you free of charge. Any repaired or replaced product will continue to be covered by Talk to the Wilson, LLC’s limited warranty for the remainder of the term of the original limited warranty. Warranty does not cover batteries or bulbs. No liability is assumed, directly or indirectly, for any damage or loss resulting from the use of The Wilson™. The manufacturer assumes no responsibility for data loss, improper use, damage, repairs, defects, battery use or replacement, or any other costs. Repair or replacement, as provided under the Limited Warranty, shall be the exclusive remedy of the consumer. Talk to the Wilson, LLC shall not be liable for incidental or consequential damages resulting from the use of The Wilson™ or arising out of any breach of any express or implied warranty with respect to The Wilson™. 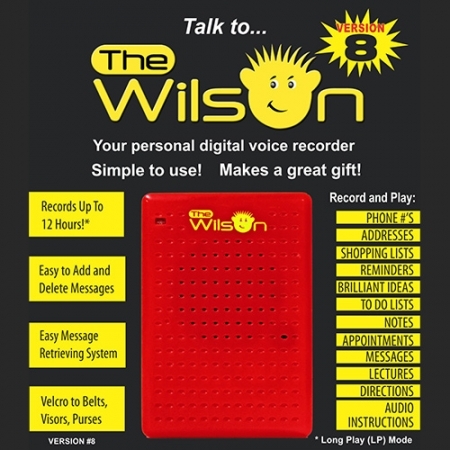 Talk to the Wilson, he'll listen!